From time to time our customers ask us how to hang a custom poster they’ve created at posterburner.com. Since one of my favorite things to do is answer customer questions, I put together some tips and ideas for hanging your new art on your wall, door or even the ceiling. One of the best ways to ensure a proper poster installation is to start with the right preparation. Here are some tips on how to set yourself up for success. Proper prep starts before you even open the poster. It’s important to thoroughly wash and dry your hands before you handle your new poster. Clean hands will prevent you from accidentally transferring oil or dirt onto your poster. You’ll need a decent sized flat surface to place your poster while you work on it. Be sure to thoroughly wash and dry the surface with mild cleaner before you unpack your poster. Use a soft rag with mild soap to clean built up grease, dust, and dirt from the wall area where your poster will hang. This is an especially crucial step if you are attaching the poster to the wall with adhesive products. Carefully open the shipping tube and remove your poster. Gently unroll the poster and lay it flat. Carefully weight the corners to encourage it to relax and stay flat. Once the poster stops trying to curl up on itself and lies flat without the weights, you are ready to hang! If your poster doesn’t come in a tube, you could skip this step. There are many creative ways to hang a poster. Below is a list of a few of my favorite options. Using some type of adhesive is the fastest and easiest way to hang a poster. But wait! I’m not talking about clear tape rolled sticky side out like we did with our teen fan posters. 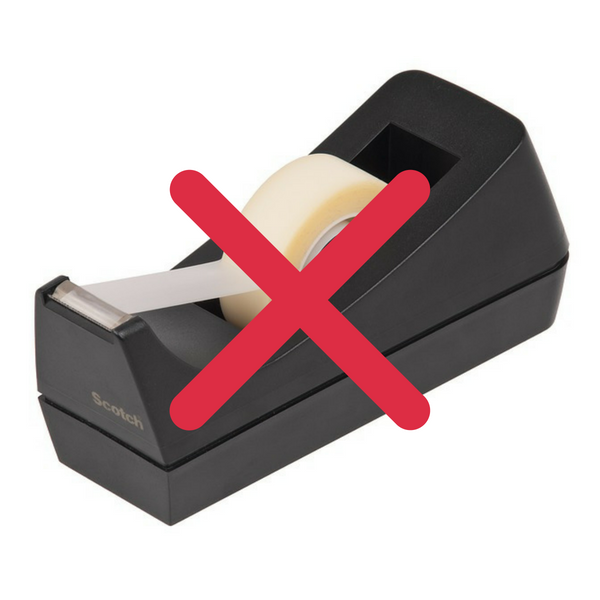 We don’t want to damage our art by using adhesives that aren’t explicitly designed for hanging paper without tearing or leaving marks. Removable adhesive options for hanging just about anything have come a long way over the past few years. You can choose from double-sided adhesive mounting strips, glue dots, putty, the list goes on. Check out this Google Search to find poster hanging adhesive options near you, or online. If you like to do-it-yourself, you can create your own. You can build an easy DIY poster hanger like the one in our article here. You can buy magnets to mount your poster on the wall. Buy round or square magnets online or at your local hardware store. Use double-sided tape to stick one magnet to the wall that corresponds with each corner of your poster. Place the poster on the wall and put the second magnet on top of the magnet you stuck to the wall--the edge of your poster should be between the two magnets. Repeat for each of the four corners. For large posters, you may also want to add a set of magnets in the middle of each side to prevent sagging. Did you know that you can get custom poster framing from Poster Burner? We will build a custom frame for prints as large as 24 x 36! Create a custom poster from one of your favorite images and have it beautifully framed. Did I mention they make a wonderful gift for that someone special? Are you using your custom poster for design or promotional purposes? Here are some suggestions on how to display your poster print. - Pick a spot that isn't always in direct sunlight. - Take a look at popular design influencers such as HGTV or Houzz.com to see how professional designers are using prints in their spaces. -Try to get your custom poster in the front sections like register areas, sales areas and bulletin boards. -You can use custom posters in employee areas to communicate with your workforce. -Try for a highly visible flat surface to display your posters. -If you have to use poles, a staple gun would secure best. -Wait for a nice sunny day for outdoor posting, you’ll likely have a lot more foot traffic viewing your poster.